A government with rulers who exploit the people and natural resources of their own territory in order to extend their personal wealth and political power. This article is about the term for systematic corruption and thievery by the state or state-sanctioned corruption. For a state with ties to or aid from organized crime syndicates, see Mafia state. Kleptocracy (from Greek κλέπτης kléptēs, "thief", κλέπτω kléptō, "I steal", and -κρατία -kratía from κράτος krátos, "power, rule") is a government with corrupt leaders (kleptocrats) that use their power to exploit the people and natural resources of their own territory in order to extend their personal wealth and political powers. Typically, this system involves embezzlement of funds at the expense of the wider population. Kleptocracy is different from a plutocracy; A kleptocracy is a government ruled by corrupt politicians who use their political power to receive kickbacks, bribes, and special favors at the expense of the populace. Kleptocrats may use political leverage to pass laws that enrich them or their constituents and they usually circumvent the rule of law. Kleptocracies are generally associated with dictatorships, oligarchies, military juntas, or other forms of autocratic and nepotist governments in which external oversight is impossible or does not exist. This lack of oversight can be caused or exacerbated by the ability of the kleptocratic officials to control both the supply of public funds and the means of disbursal for those funds. Kleptocratic rulers often treat their country's treasury as a source of personal wealth, spending funds on luxury goods and extravagances as they see fit. Many kleptocratic rulers secretly transfer public funds into hidden personal numbered bank accounts in foreign countries to provide for themselves if removed from power. Kleptocracy is most common in developing countries whose economies are based on the export of natural resources. Such export incomes constitute a form of economic rent and are easier to siphon off without causing the income to decrease. A specific case of kleptocracy is Raubwirtschaft, German for "plunder economy" or "rapine economy", where the whole economy of the state is based on robbery, looting and plundering the conquered territories. Such states are either in continuous warfare with their neighbours or they simply milk their subjects as long as they have any taxable assets. Arnold Toynbee has claimed the Roman Empire was a Raubwirtschaft. Contemporary studies have identified 21st century kleptocracy as a global financial system based on money laundering (which the International Monetary Fund has estimated comprises 2-5 percent of the global economy). Kleptocrats engage in money laundering to obscure the corrupt origins of their wealth and safeguard it from domestic threats such as economic instability and predatory kleptocratic rivals. They are then able to secure this wealth in assets and investments within more stable jurisdictions, where it can then be stored for personal use, returned to the country of origin to support the kleptocrat's domestic activities, or deployed elsewhere to protect and project the regime's interests overseas. Illicit funds are typically transferred out of a kleptocracy into Western jurisdictions for money laundering and asset security. Since 2011, more than $1 trillion has left developing countries annually in illicit financial outflows. A 2016 study found that $12 trillion had been siphoned out of Russia, China, and developing economies. Western professional services providers are an essential part of the kleptocratic financial system, exploiting legal and financial loopholes in their own jurisdictions to facilitate transnational money laundering. The kleptocratic financial system typically comprises four steps. First, kleptocrats or those operating on their behalf create anonymous shell companies to conceal the origins and ownership of the funds. Multiple interlocking networks of anonymous shell companies may be created and nominee directors appointed to further conceal the kleptocrat as the ultimate beneficial owner of the funds. Second, a kleptocrat's funds are transferred into the Western financial system via accounts which are subject to weak or nonexistent anti-money laundering procedures. Third, financial transactions conducted by the kleptocrat in a Western country complete the integration of the funds. Once a kleptocrat has purchased an asset this can then be resold, providing a legally defensible origin of the funds. Research has shown the purchase of luxury real estate to be a particularly favored method. Fourth, kleptocrats may use their laundered funds to engage in reputation laundering, hiring public relations firms to present a positive public image and lawyers to suppress journalistic scrutiny of their political connections and origins of their wealth. The United States is international kleptocrats' favoured jurisdiction for laundering money. In a 2011 forensic study of grand corruption cases, the World Bank found the United States was the leading jurisdiction of incorporation for entities involved in money laundering schemes. The Department of Treasury estimates that $300 billion is laundered annually in the United States. This kleptocratic financial system flourishes in the United States for three reasons. First, the absence of a beneficial ownership registry means that it is the easiest country in the world in which to conceal the ownership of a company. The United States produces more than 2 million corporate entities a year, and 10 times more shell companies than 41 other countries identified as tax havens combined. It currently takes more information to obtain a library card than to form a US company. Second, some of the professions most at risk of being exploited for money laundering by kleptocrats are not required to perform due diligence on prospective customers, including incorporation agents, lawyers, and realtors. A 2012 undercover study found that just 10 of 1,722 U.S. incorporation agents refused to create an anonymous company for a suspicious customer; a 2016 investigation found that just one of 13 prominent New York law firms refused to provide advice for a suspicious customer. Third, such anonymous companies can then freely engage in transactions without having to reveal their beneficial owner. It should also be noted that the vast majority of foreign transactions take place in US dollars. Trillions of US dollars are traded on the foreign exchange market daily making even large sums of laundered money a mere drop in the bucket. Currently, there are only around 1,200 money laundering convictions per year in the United States and money launderers face a less than five percent chance of conviction. Raymond Baker estimates that law enforcement fails in 99.9% of cases to detect money laundering by kleptocrats and other financial criminals. Other Western jurisdictions favoured by kleptocrats include the United Kingdom and its dependencies, especially the British Virgin Islands, the Cayman Islands, Guernsey and Jersey. Jurisdictions in the European Union which are particularly favoured by kleptocrats include Cyprus, the Netherlands, and its dependency the Dutch Antilles. The effects of a kleptocratic regime or government on a nation are typically adverse in regards to the welfare of the state's economy, political affairs, and civil rights. Kleptocratic governance typically ruins prospects of foreign investment and drastically weakens the domestic market and cross-border trade. As kleptocracies often embezzle money from their citizens by misusing funds derived from tax payments, or engage heavily in money laundering schemes, they tend to heavily degrade quality of life for citizens. In addition, the money that kleptocrats steal is diverted from funds earmarked for public amenities such as the building of hospitals, schools, roads, parks – having further adverse effects on the quality of life of citizens. The informal oligarchy that results from a kleptocratic elite subverts democracy (or any other political format). 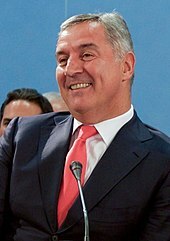 Montenegro's president Milo Đukanović was listed among the twenty richest world leaders according to the British newspaper The Independent in May 2010, which described the source of his wealth as "mysterious". According to at least one commentator, parasitism may be the new social paradigm — involving class warfare and exploitation of electoral processes — of myriad and disparate countries around the world. See Oligarchy and Elite capture. The Russian president Vladimir Putin is alleged to be the "head of the clan", whose assets are estimated at over $200 billion. A list of Russian and Ukrainian politicians associated with "kleptocratic style" has been published by the Kleptocracy Archives project. Sources have also alleged that former Egyptian President Hosni Mubarak stole up to $70 billion. In addition, other sources have listed former PLO Chairman Yasser Arafat as having stolen $1 billion to $10 billion; and Pakistani President Asif Ali Zardari to have received kickbacks on contracts and misappropriating public funds, siphoning over $2 billion to his Swiss accounts. Former Sudanese President Omar al-Bashir has been accused of siphoning off up to $9bn (£5.6bn; 7bn euros) of his country's funds by the chief prosecutor of the International Criminal Court (ICC). Luis Moreno Ocampo told the BBC that President Bashir had hidden the money in personal accounts outside Sudan. Mr Ocampo's suspicions originally came to light when a diplomatic cable obtained by Wikileaks was published by the Guardian newspaper. Sudan has forcefully denied the claims. The ICC's chief prosecutor has charged Mr Bashir with crimes against humanity, war crimes and genocide over alleged atrocities in Sudan's Darfur region. The former Chairman of BTA Bank Mukhtar Ablyasov is alleged to have embezzled more than $6 billion from his bank committing the largest financial fraud in history. In May 2017, the Carnegie Endowment for International Peace released a report detailing what it called a kleptocratic network across the government and private sector in Honduras. Nursultan Nazarbayev is a head of the Kazakhstan ruling clan with $7 billion assets. China's former prime minister, Wen Jiabao, left office in 2013 with his close relatives controlling assets worth at least $2.7 billion. These revelations were censored in print and censored online in China. The term kleptocracy was also used to refer to the Russian economy, soon after the Soviet collapse in 1991. The "democrats", led by Yegor Gaidar and Anatoly Chubais, freed prices in 1992 and unleashed hyperinflation before they privatized Russia's assets. Most Russian citizens lost their savings in only a few weeks. A few billionaire "oligarchs" amassed fortunes not by creating new enterprises, but by arbitraging the huge difference between old domestic prices for Russian commodities and the prices prevailing on the world market. Instead of investing in the Russian economy, they stashed billions of dollars in Swiss bank accounts. Experts estimate that as much as $15 billion left Russia each year as either capital flight or laundered money from illegal transactions. Referring to Russia, Daniel Kimmage also used the terms: "kerdocracy" ("rule based on the desire for material gain") or "khrematisamenocracy" ("rule by those who transact business for their own profit"). Demonstration banner with text: "Demokracie místo kleptokracie" (Democracy in place of kleptocracy). Peace rally in Brno for Real Democracy NOW, Moravian Square [cs], Brno, Czech Republic. A narcokleptocracy is a society in which criminals involved in the trade of narcotics have undue influence in the governance of a state. For instance, the term was used to describe the regime of Manuel Noriega in Panama in a report prepared by a subcommittee of the United States Senate Committee on Foreign Relations chaired by Massachusetts Senator John Kerry. The term narcostate has the same meaning. Look up kleptocracy in Wiktionary, the free dictionary. ^ a b "Kleptocracy". The Oxford English Dictionary. Oxford University Press. 1st ed. 1909. ^ Derrick Jensen; Aric McBay (2009). What We Leave Behind. Seven Stories Press. p. 374. ISBN 978-1583228678. via "Collapse of Rome". The official Derrick Jensen site. Retrieved November 15, 2017. ^ Cooley, Alexander; Sharman, J. C. (September 2017). "Transnational Corruption and the Globalized Individual". Perspectives on Politics. 15 (3): 732–753. doi:10.1017/S1537592717000937. ISSN 1537-5927. ^ "January 2018". Journal of Democracy. Retrieved July 19, 2018. ^ Michel Camdessus (February 10, 1998). "Money Laundering: the Importance of International Countermeasures". IMF. Retrieved July 19, 2018. ^ Christopher Walker; Melissa Aten (January 15, 2018). "The Rise of Kleptocracy: A Challenge for Democracy". Journal of Democracy. National Endowment for Democracy. 29 (1): 20–24. Retrieved July 19, 2018. ^ Stewart, Heather (May 8, 2016). "Offshore finance: more than $12tn siphoned out of emerging countries". The Guardian. Retrieved July 19, 2018. ^ Alex Cooley; Jason Sharman (November 14, 2017). "Analysis | How today's despots and kleptocrats hide their stolen wealth". The Washington Post. Retrieved July 19, 2018. ^ Carl Gershman (June 30, 2016). "Unholy Alliance: Kleptocratic Authoritarians and their Western Enablers". World Affairs. Retrieved July 19, 2018. ^ "The Money-Laundering Cycle". United Nations Office of Drugs and Crime. Retrieved July 19, 2018. ^ Jodi Vittori (September 7, 2017). "How Anonymous Shell Companies Finance Insurgents, Criminals, and Dictators". Council on Foreign Relations. Retrieved July 19, 2018. ^ Philip Bump (January 4, 2018). "Analysis | How money laundering works in real estate". The Washington Post. Retrieved July 19, 2018. ^ "Towers of Secrecy: Piercing the Shell Companies". Retrieved July 19, 2018. Collection of 9 articles from 2015 and 2016. ^ Sweney, Mark (September 5, 2017). "'Reputation laundering' is lucrative business for London PR firms". The Guardian. Retrieved July 19, 2018. ^ "The Rise of Kleptocracy: Laundering Cash, Whitewashing Reputations". Journal of Democracy. Retrieved July 19, 2018. ^ a b "The Puppet Masters". Stolen Asset Recovery Initiative, The World Bank. October 24, 2011. Retrieved July 19, 2018. ^ Chuck Grassley (March 16, 2018). "The peculiarities of the US financial system make it ideal for money laundering". Quartz. Retrieved July 19, 2018. ^ "FACT Sheet: Anonymous Shell Companies". FACT Coalition. August 16, 2017. Retrieved July 19, 2018. ^ a b "United States' measures to combat money laundering and terrorist financing". fatf-gafi. December 2016. Retrieved July 19, 2018. ^ "Undercover investigation of American lawyers reveals role of Overseas Territories in moving suspect money into the United States" (Press release). Global Witness. February 12, 2016. Retrieved July 19, 2018. ^ "Countering International Money Laundering". FACT Coalition. August 23, 2017. Retrieved July 19, 2018. ^ Murray Worthy (April 29, 2008). "Missing the bigger picture? Russian money in the UK's tax havens". Global Witness. Retrieved July 19, 2018. ^ "Financial Secrecy Index - 2018 Results". Tax Justice Network. Retrieved July 19, 2018. ^ Andrew Rettman (October 27, 2017). "Cyprus defends reputation on Russia money laundering". euobserver. Retrieved July 19, 2018. ^ "Dutch banks accused of aiding Russian money laundering scheme". NL Times. March 21, 2017. Retrieved July 19, 2018. ^ George M. Guess (1984). Bureaucratic-authoritarianism and the Forest Sector in Latin America. Office for Public Sector Studies, Institute of Latin American Studies, University of Texas at Austin. p. 5. Retrieved February 12, 2018. ^ "Combating Kleptocracy". Bureau of International Information Programs, U.S. State Department. December 6, 2006. Retrieved November 15, 2016. ^ "National Strategy Against High-Level Corruption: Coordinating International Efforts to Combat Kleptocracy". United States Department of State Bureau Public Affairs. Archived from the original on July 10, 2008. Retrieved August 8, 2008. ^ David, Usborne (May 19, 2010). "Rich and powerful: Obama and the global super-elite". Independent. Independent. Retrieved October 19, 2016. ^ Evans, Jon (April 1, 2018). "Parasitism and the fight for the wrong century". TechCrunch. Retrieved April 2, 2018 – via Yahoo Finance. ^ "Global Corruption Report 2004" (PDF). Transparency International. 2004. Retrieved January 13, 2018. ^ Hunt, Luke (January 8, 2013). "End of 30-Year Hunt for Marcos Billions?". The Diplomat, Asian Beat section. ^ Komisar, Lucy (August 2, 2002). "Marcos' Missing Millions". In These Times. ^ Henry, James S.; Bradley, Bill (2005). "Philippine Money Flies". The Blood Bankers: Tales from the Global Underground Economy. Basic Books. p. 43. ISBN 978-1-56025-715-8. ^ "Bureau of Labor Statistics CPI Inflation Calculator". United States Department of Labor. ^ a b Kelly Mclaughlin (February 20, 2017). "Russian President Vladimir Putin has a '$200 billion fortune'". Daily Mail. ^ Luke Harding (December 1, 2010). "WikiLeaks cables condemn Russia as 'mafia state'". the Guardian. ^ Rob Wile (January 23, 2017). "Is Vladimir Putin Secretly the Richest Man in the World?". Money. ^ Taylor, Adam (February 20, 2015). "Is Vladimir Putin hiding a $200 billion fortune? (And if so, does it matter?)". The Washington Post. ^ Mark Franchetti (November 6, 2011). "Putin's judo cronies put lock on billions in riches". The Sunday Times. ^ Dawisha, Karen (2014). Putin's Kleptocracy: Who Owns Russia?. Simon & Schuster. ISBN 9781476795195. ^ "Individuals". Kleptocracy Archive. Archived from the original on May 18, 2016. Retrieved May 22, 2016. ^ "Hosni Mubarak's 'stolen' $70 billion fortune". The Week. February 14, 2011. ^ Alon, Gideon; Amira Hass (August 14, 2002). "MI chief: terror groups trying hard to pull off mega-attack". Haaretz. Archived from the original on October 13, 2007. Retrieved July 21, 2007. ^ Nashashibi, Karim; Adam Bennett (September 20, 2003). "Business & Economy: IMF audit reveals Arafat diverted $900 million to account under his personal control". The Electronic Intifada. Retrieved July 21, 2007. ^ Stahl, Lesley (November 9, 2003). "Arafat's Billions, One Man's Quest To Track Down Unaccounted-For Public Funds". CBS News. Retrieved July 21, 2007. ^ "Sudan president 'stole fortune'". December 18, 2010. Retrieved February 8, 2019. ^ Tom Burgis (September 27, 2017). "Spies, lies and the oligarch: inside London's booming secrets industry". Financial Times. ^ LaSusa, Mike; Asmann, Parker (June 12, 2017). "Corruption Is the 'Operating System' in Honduras: Report". InSight Crime. Retrieved June 15, 2017. ^ Chayes, Sarah (May 30, 2017). "When Corruption Is the Operating System: The Case of Honduras". Carnegie Endowment for International Peace. Retrieved June 15, 2017. ^ Walter Mayr (March 13, 2013). "European Social Democrats Lobby for Kazakhstan Autocrat". Spiegel Online. ^ David Barboza (October 25, 2012). "Billions in Hidden Riches for Family of Chinese Leader". The New York Times. p. A1. ^ Tania Branigan (October 26, 2012). "New York Times blocked in China over Wen Jiabao wealth revelations". The Guardian. ^ Paddock, Richard (July 2, 2013). "Justice Dept. Rejects Account of How Malaysia's Leader Acquired Millions". Retrieved June 19, 2018. ^ Paddock, Richard (June 14, 2018). "Mahathir Mohamad, Leading Malaysia Again at 92, Is on a Mission". Retrieved June 19, 2018. ^ Johanna Granville, "Dermokratizatsiya and Prikhvatizatsiya: The Russian Kleptocracy and Rise of Organized Crime,"Demokratizatsiya (summer 2003), pp. 448-457. ^ Kimmage, Daniel (August 12, 2008). "Russian 'Hard Power' Changes Balance In Caucasus". Radio Free Europe/Radio Liberty. Retrieved March 29, 2014. Machan, Tibor (2008). "Kleptocracy". In Hamowy, Ronald (ed.). The Encyclopedia of Libertarianism. Thousand Oaks, CA: SAGE; Cato Institute. pp. 272–73. doi:10.4135/9781412965811.n163. ISBN 978-1412965804. LCCN 2008009151. OCLC 750831024. This page was last edited on 11 April 2019, at 18:33 (UTC).